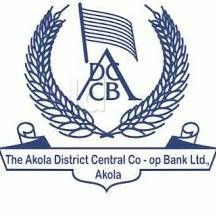 Akola DCC Bank has published Advertisement for below mentioned Posts 2018. Other details like age limit, educational qualification, selection process, application fee and how to apply are given below. Candidates must have school leaving certificate / Birth certificate with them. Nationality of Candidate must be Indian. Candidates must be domicile of Maharashtra. Original copies of above mentioned applicable documents must be submitted for Verification at time of interview.